EMF » IVL-Gone: Assessment of the effect of skin glue on the function of a peripherally inserted intravenous line. Emergency Medicine Foundation > Projects > Queensland > IVL-Gone: Assessment of the effect of skin glue on the function of a peripherally inserted intravenous line. IVL-Gone: Assessment of the effect of skin glue on the function of a peripherally inserted intravenous line. Does the use of skin glue at the insertion site of IVL’s result in benefits to both patients and staff? 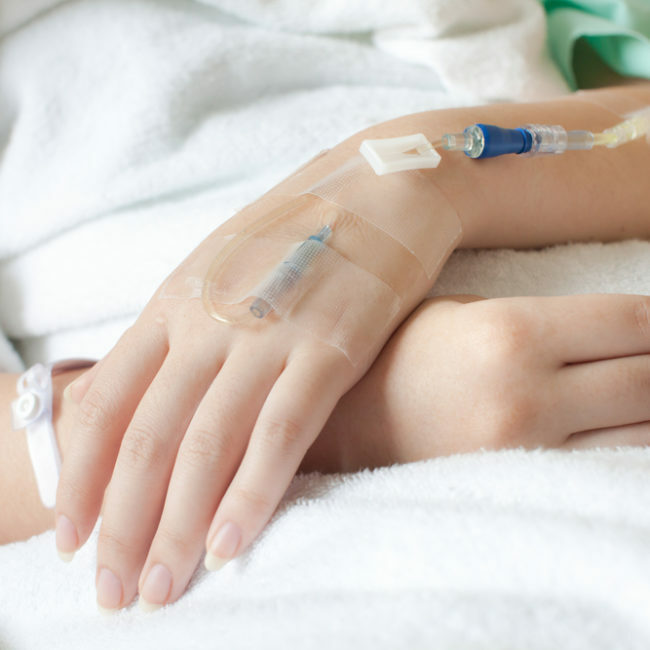 Intravenous lines are placed in the majority of patients admitted to hospital. Unfortunately they often fall out, become infected, cause irritation & pain or become blocked. Occasionally this can cause a life threatening illness. Blood can leak from the intravenous line onto the patient’s skin, clothing or bed linen. This causes patient distress. It can also be dangerous for hospital staff if they accidentally come into contact with the blood. The insertion of a replacement intravenous line is generally regarded as an unpleasant experience that would be nice to avoid. The IVL-GONE research team are researching the use of common skin glue (think super-glue) to ‘stick-on’ the intravenous line. Other benefits are thought to include keeping the bugs out, improving patient comfort & helping to protect hospital staff from blood. If the skin glue works as well as preliminary studies indicate, this could be a simple solution for a worldwide problem; Queensland research leading the world. Peripheral intravenous catheters are the most commonly used medical invasive device in hospitals today, inserted in up to 80% of all hospitalised patients during their stay and frequently initiated in the emergency department (ED). There is a very high failure rate for catheters, mainly due to inadequate fixation of the catheter to the patient's skin. The study tested whether the addition of skin glue to secure the catheter would reduce failure rates, and it did, reducing the failure rate by 10% overall. Significant reduction in peripheral intravenous catheter failure rates is expected to have beneficial effects on patient comfort and outcomes, along with hospital flow and costs. This project was part of the Griffith University Avatar Group's research effort to improve vascular access.